Juniper is an evergreen conifer native to Portugal. Identified by its small green need-like leaves with broad silver bands on the inner side, grey/brown bark, an aromatic fragrance, and purple berries (most commonly used in the flavouring of gin). Mature Junipers can reach a height of 10m and live for up to 200 years. Like the Medronho we featured last week, the Juniper is a great tree for our rewilding efforts. Its yellow and green flowers are a significant source of nectar and pollen for bees, while its purple berries will attract a variety of birds and grazers back to the area. Also, its dense foliage throughout the year can be a shelter for small animals during the cold winter. 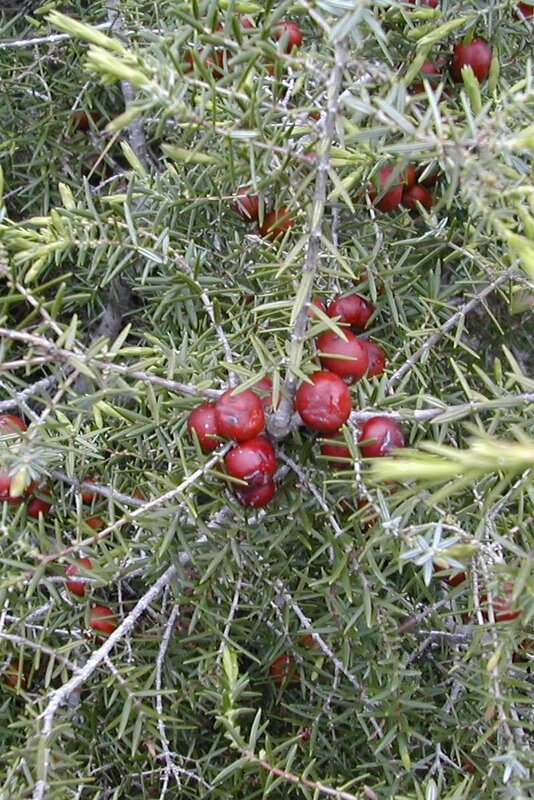 In some areas juniper is considered to be a deterrent against the devil and witches. It was hung over doorways on the eve of May day and burnt on Halloween to ward off evil spirits. It was also said that you would prosper if you dreamed of gathering Juniper berries in winter.